Who’s ready for some off-road adventure? That’s what the rivalry between the Jeep Grand Cherokee and the Toyota 4Runner is all about. They’re good all-around sport utility vehicles, but the main area they stand out from the crowd is what happens when they exit the urban and suburban to get on dusty trails and open fields. In this comparison guide, we aim to discover which does that dirty job better. We know the real reason you’re here. Jeep has long ruled the off-roading segment of SUVs, and that’s a fact. The only mid-size SUV that might give the Jeep Grand Cherokee a run for its money is the Toyota 4Runner. And the 4Runner, to be sure, is a formidable off-roader. But the Jeep Grand Cherokee still outperforms the Toyota rival in almost every way. 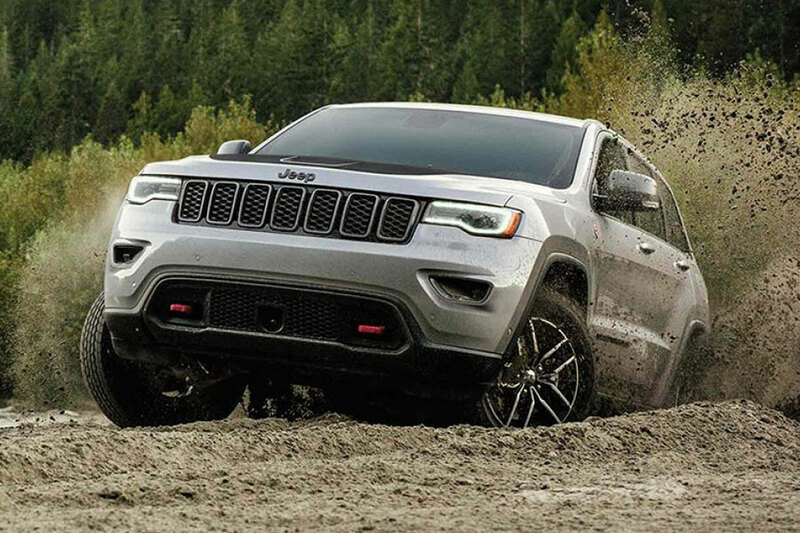 The Grand Cherokee offers a pretty comfortable ride, even off the beaten path, thanks to available locking rear differential, multiple four-wheel-drive systems, upgraded anti-lock and Brembo performance brakes, and an adaptive air suspension. There’s also an available Selec-Terrain system that lets you choose from five modes-Auto, Sport, Snow, Sand/Mud, and Rock. The Toyota 4Runner also does well off-roading and offers many of the same features and systems, or the equivalent, including two optional four-wheel-drive systems: part-time and full-time. But, like the song goes, anything the Toyota does, the Jeep does better. Though the Grand Cherokee has some distinct advantages over the 4Runner, guess which one is more affordable. If you guessed the Toyota, try again. The 2019 Jeep Grand Cherokee starts at just $31,945. That’s a steal compared to the Toyota 4Runner’s starting price of $35,110. Why pay thousands more for the 4Runner? Let’s dig into that very question. The Jeep Grand Cherokee comes standard with a 295-horsepower 3.6-liter V6 engine, alloy wheels, dual-zone automatic climate control, cloth seats, four active safety features, proximity keyless entry, push-button start, and Uconnect 4 infotainment system with two USB ports, Bluetooth, voice controls, six-speaker stereo, Apple CarPlay, Android Auto, and 7-inch touch screen. Four-wheel drive is optional but you can add it for about $2,300. Does the 4Runner have more tech or a better base engine to compensate for its higher price? Not really. The 4Runner’s standard features include an 8-way power-adjustable driver’s seat, a leather-trimmed steering wheel, 120-volt power outlet, rearview camera, 6.1-inch touch screen, eight-speaker stereo, USB port, Bluetooth, HD Radio, and satellite radio. The base engine only delivers 270 horsepower. So weaker engine, no infotainment system, no smartphone integration, and a smaller touch screen. Does it come with four-wheel drive? No, that’s an add-on that’ll cost you an additional $1,875. Whether you’re in for the bargain or in for the off-roading, this contest is decided. Say hello to the Jeep Grand Cherokee. The SUV that’ll give you happy trails and leave you with a heavier wallet. Swope Chrysler Dodge Jeep Ram	37.7142126, -85.8778213.